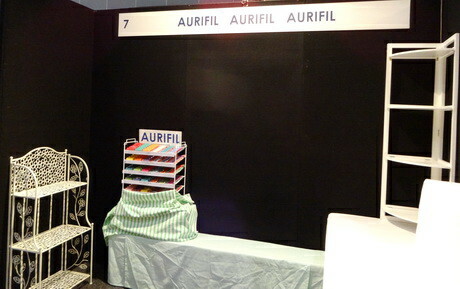 Last Friday afternoon we set up our booth for the Melbourne Wholesale Quilt Market at the Melbourne Exhibition Centre. It is hard work!! Packing the van to drive to the city, unload the van onto trolleys or wheel in big suitcases full of quilts, stock and fittings. Up and down ladders pinning and placing. Covering stools and tables with cloths and samples. However it is fun – watching an empty space become an advertisement for our quality thread. It is also fun watching the other booths start from scratch, and become beautiful areas displaying their new products. Our Quilt Market is, of course, a mini version of the overseas markets. 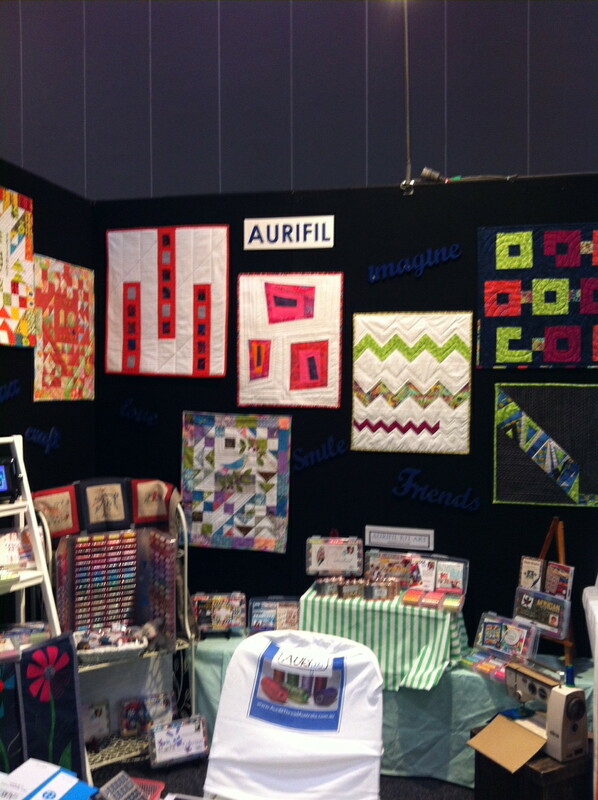 The population in Australia does not have the same large quilt population – but it exciting to see all the new fabric ranges, new notions being unveiled as well as quilt designs from the other traders. 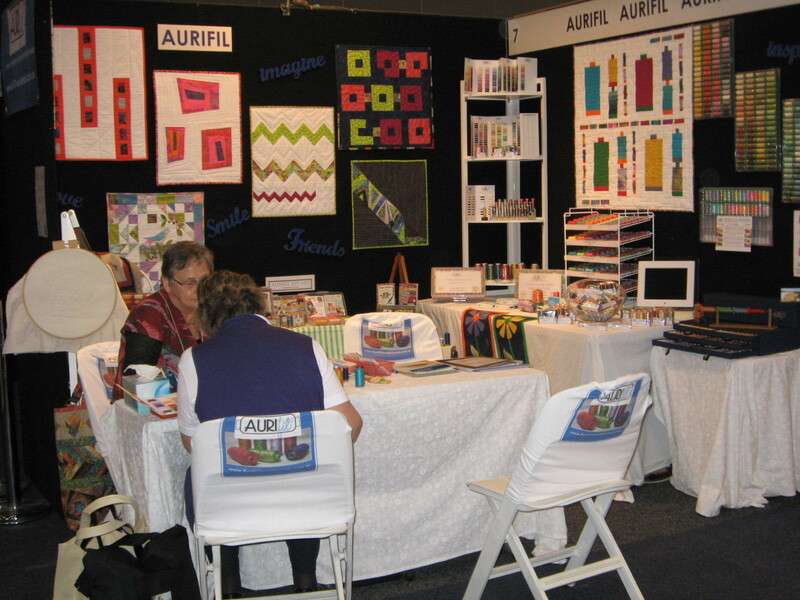 As well as using our modern quilts as samples this year, we ‘revealed’ our Aurifil spool quilt – each one of us at Always Quilting made some blocks for it. It was quilted in the different thread weights – Ne 50 for the orange spool, Ne 40 for the green spool etc. From a distance it looked stunning and we were thrilled with the compliments it received from various passers by. 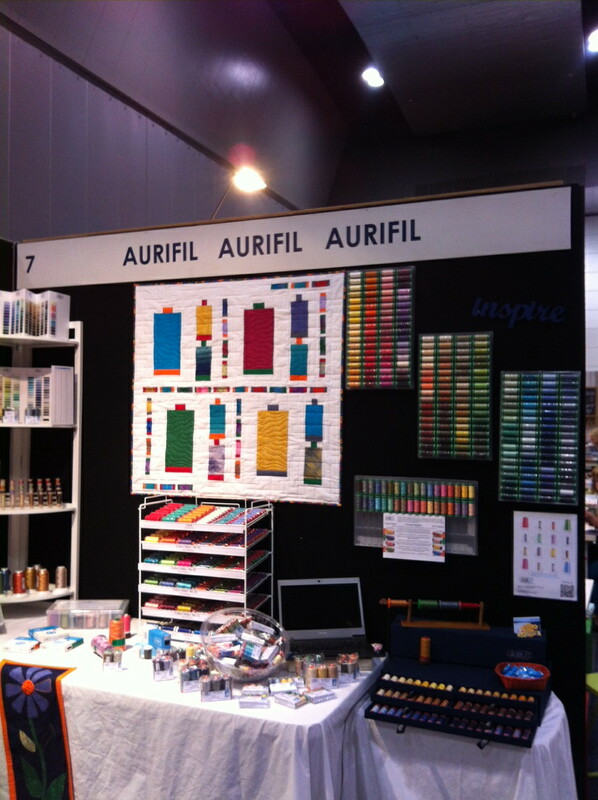 At Quilt Market we love seeing our clients come to visit, putting faces to names, and we enjoy meeting new shops too – explaining the four different cotton thread weights, and introducing them to Brillo and Aurilux and the gorgeous Lana. Of course, I love telling them about our Thread Club, something I organise each month, and how we spend so much time selecting the threads for this special club which is sent out to the shops who request it. By the time Sunday afternoon comes we are tired – but happy. It means we have lots of orders to process – and ——– Christmas decorations need to be up in the shop as the festive season is just a month away!